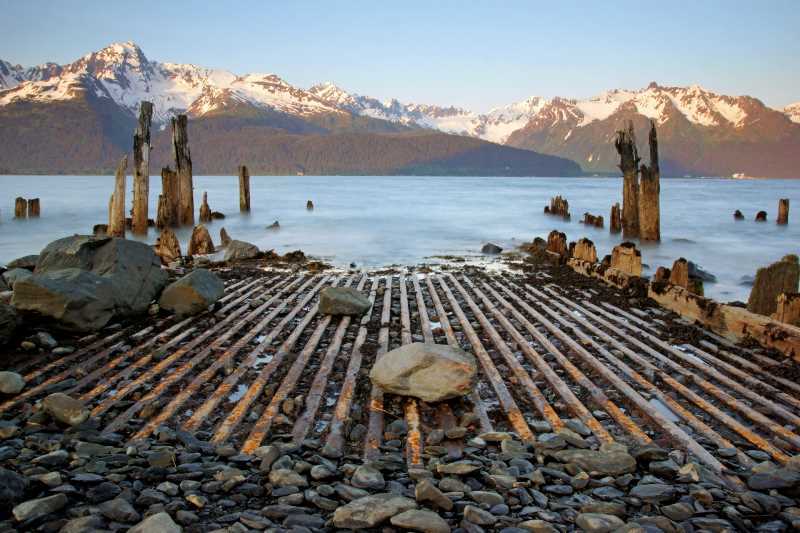 You’ll never have any trouble finding nice scenery in Alaska. 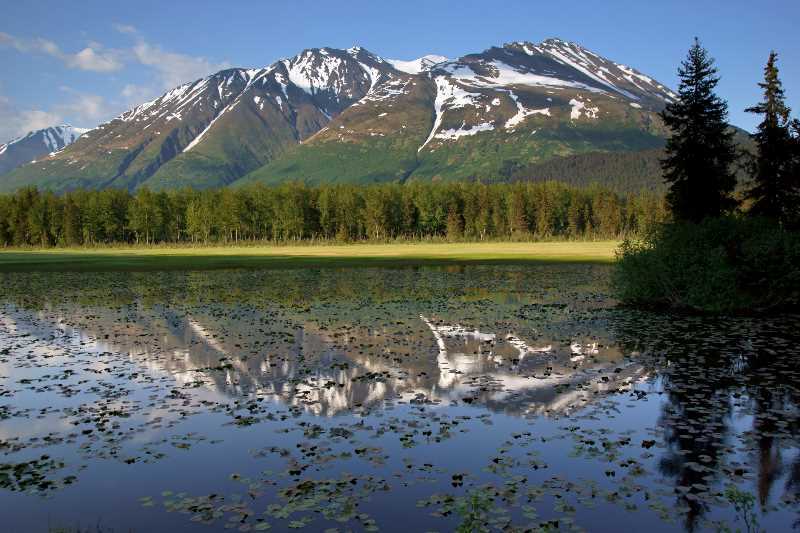 Even so, when it comes to scenic drives, the southern end of the Seward Highway stands out. 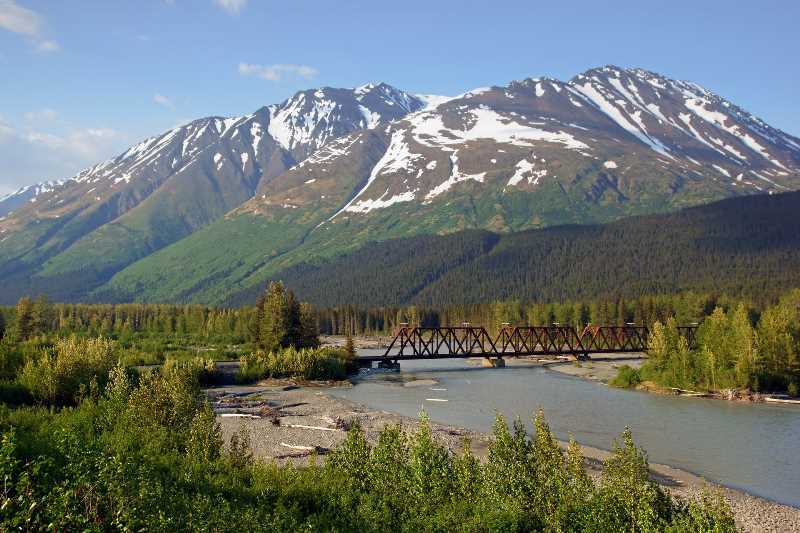 The entire drive from Anchorage to Seward is nice, but on this page we’ll look specifically at the part that’s designated as Alaska Highway 9. The Seward Highway runs from Anchorage to Seward. For most of that distance, it’s numbered as Alaska 1. But, Alaska 1 becomes the Sterling Highway at Tern Lake, and continues on to Homer, while the Seward Highway picks up a new number, Alaska 9, for the final distance south to Seward. Tern Lake is the first scenic stop on this drive. This tiny lake is at the junction of the two highways, and it’s worth stopping for, just to enjoy the view. 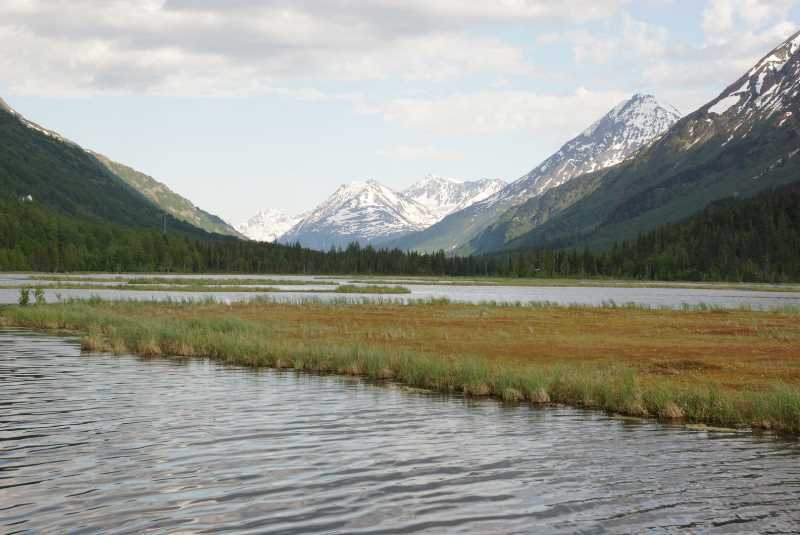 Looking across Tern Lake, you’re looking down into the valley where you’re headed on the Seward Highway. 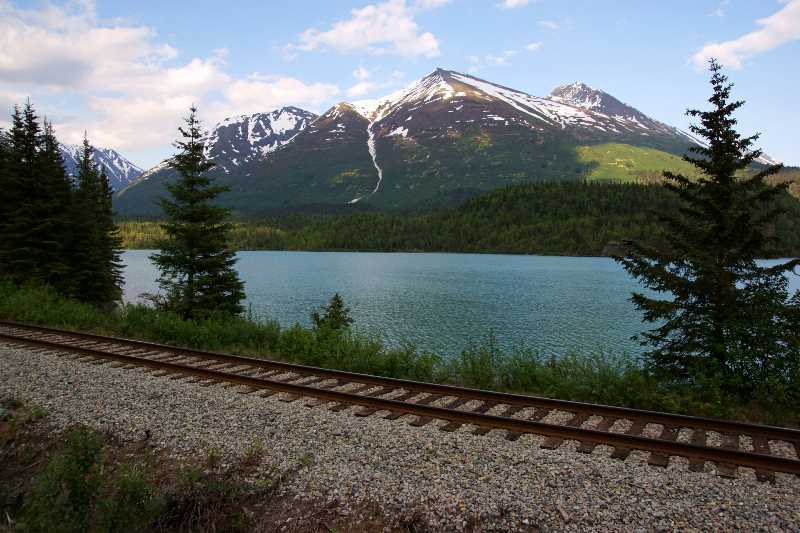 … the road is joined by the Alaska Railroad. From here south to Seward, the two parallel one another. 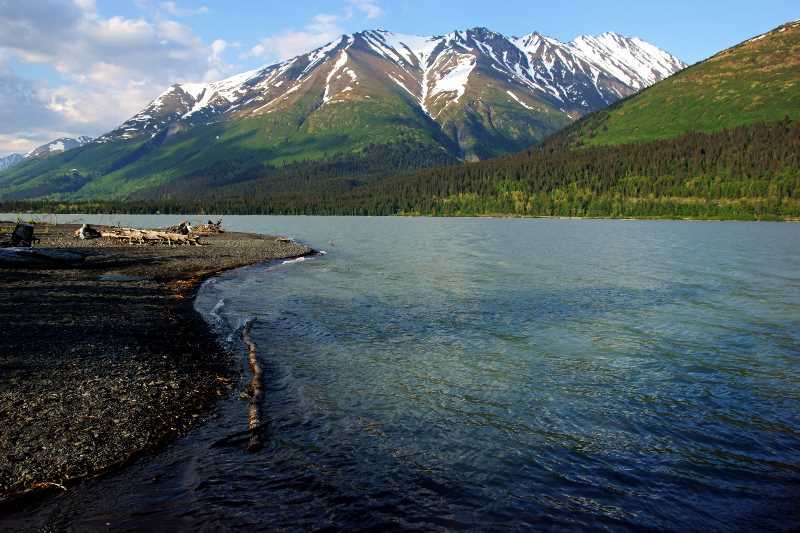 Not long after it leaves Lower Trail Lake behind, the Seward Highway meets up with Kenai Lake — a long, narrow lake that stretches all the way to the Sterling Highway at Cooper Landing. Since I was driving through the area late in the day, the view wasn’t great to the west, but I discovered a nice viewpoint (above) off Primrose Spur Road. This small side-road circles the southern tip of Kenai Lake, and heads up the west side for a short distance, providing a nice view during the evening hours of the mountains on the east side. 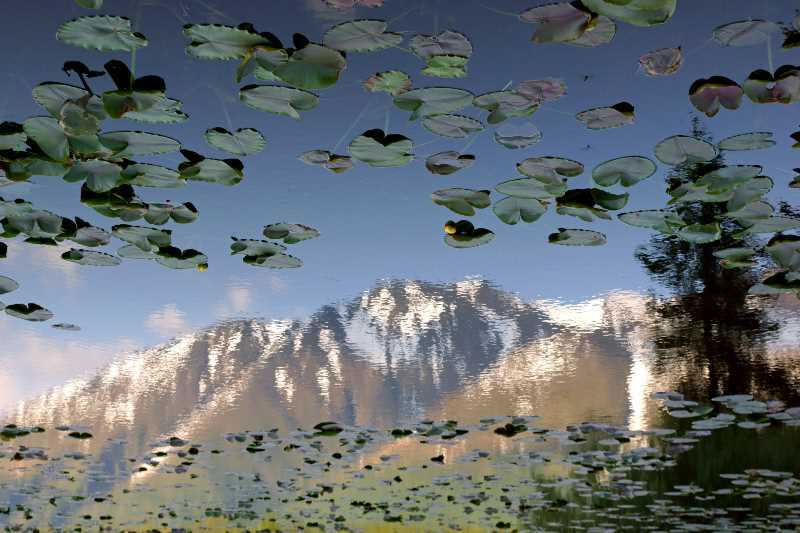 … and a reflection that can’t be beat. I found yet another place to stop for a photo, where the railroad crosses the Snow River. … at the spot where the Snow River turns away from Highway 9. There’s a great view of the mountains here, about 12 miles north of Seward. In Bear Creek, just north of Seward, watch for the turnoff for Exit Glacier. This road provides the only highway access into Kenai Fjords National Park. There’s plenty of great scenery along the way, and even more, when you arrive at the glacier itself. Of course, more great scenery awaits in Seward. I’ll show you everything to see in town, on a separate page!